He was cuter than can be. and I’m sure he croaked at me! One day all of the frogs in the pond are confused and distressed to discover a pig sitting in the middle of the pond saying, “Ribbit!” over and over. What the what? 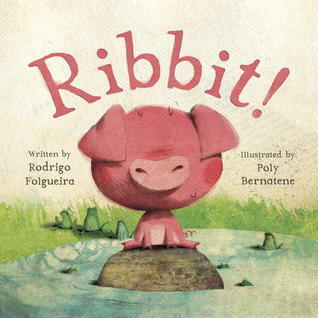 This is a really cute book about frogs, pigs, animals in general, friendship and even language! 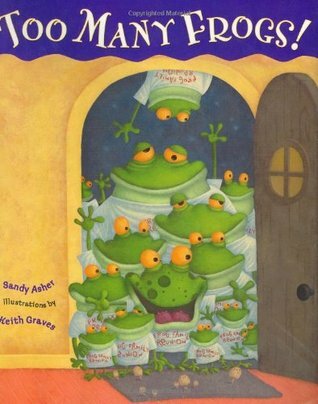 I read this to Preschoolers for the length and also the level of humor. This is a funny story about company, sharing, visiting, manners and storytime! So very meta, right? Rabbit is just about to sit down to read a story when Frog makes himself right at home. And this happens a few nights in a row with Frog making himself more and more comfortable as the evenings pass. Finally, Rabbit can’t take it anymore and he declines the visitor (who has brought his entire family this time). Rabbit sits down to enjoy his alone time but then no one is more surprised by his discovery that evening than Rabbit himself. The story is awesome and the illustrations (by Austin local, Keith Graves) are excellent. 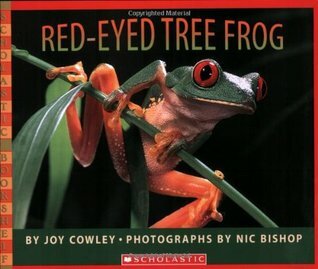 I read this to Preschoolers for the length and humor. When Betsy notices the leaves and how they float and twist and turn – she tries out those moves herself. When other frogs make a stink, she moves on without confrontation. As other frogs begin to copy her movements and then want to banish non-twisters, Betsy makes room for everyone. Betsy is a tolerant rational frog. Yay! We love that about her. I’ve been reading this book to Toddler and Preschoolers since I started this gig and it works every time. The illustrations are wonderful, the text is not over-taxing, and the message is great. You better be well rested and ready to move when you put this one into the rotation! 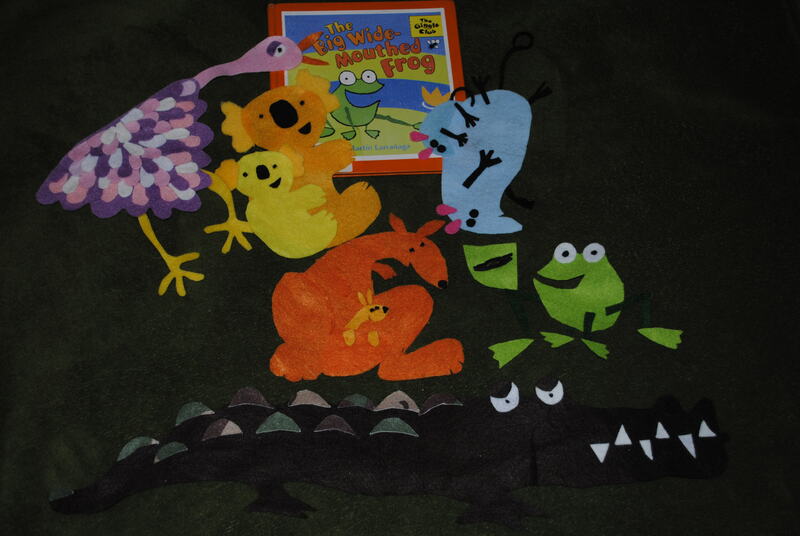 It is everything the Hokey Pokey can be but with frogs, birds, gators, and a surprise at the end. 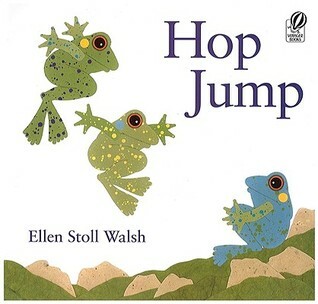 I read/dance this one with Preschoolers since they understand the humor and the mishaps along the way. Oh, Jan Thomas – how I do love your books. This little bug makes you stand up, sit down, stand up and then pantomime having a bug on you. The kids will follow along and even make the scary face that is requested – but be careful! Don’t be TOO scary! 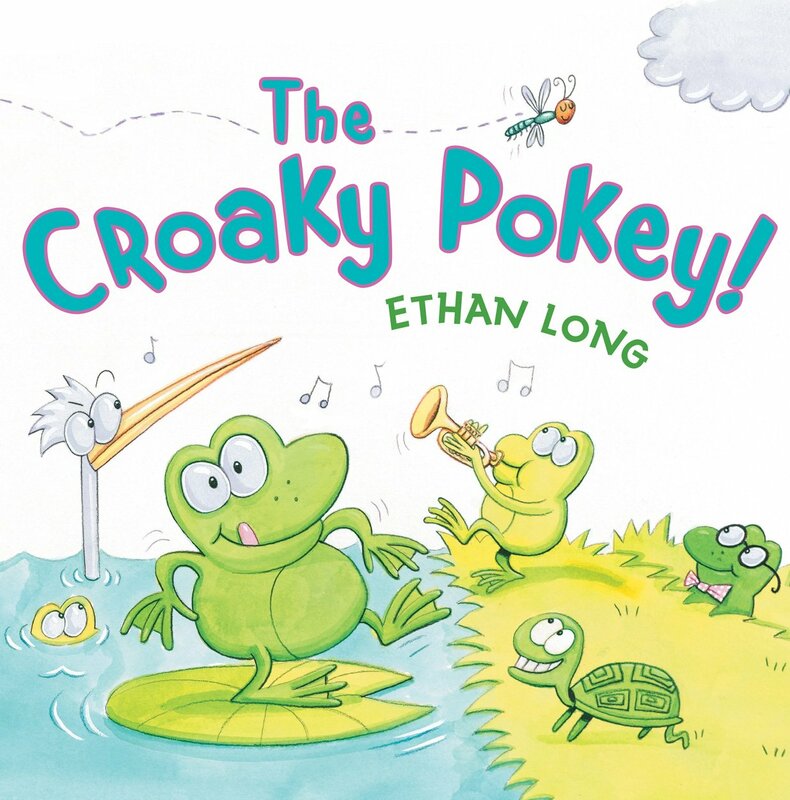 This title is great for Preschoolers that are in the groove and will play along with you. Oh, and there is a frog. It’s always great to throw a little non-fiction into the mix of storytime and it’s even better if you can use one full of Nic Bishop’s photos. A-mazing. The kids will learn a little about the sleeping, eating, and climbing habits of the little tree frog and see some other wildlife as well. Both Toddlers and Preschoolers love this one. This is one of the best books but it is so tiny! So I made it into a flannel story and am inordinately proud of the animals (especially the emu, may I just say?). 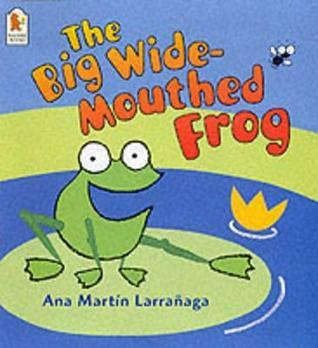 It is the basic big mouthed frog story where he meets other animals and interviews them about who they are and what they eat. He then informs them that he is a wide-mouthed frog and he eats flies. It all goes well until he meets a crocodile…. Have everyone rub their tummies on the “yum yum” and join in with frog sounds at the end (ribbit, barump, galumph, peep, etc.) and you all count down until there are none left. I made this flannel long ago with the die cut machine and googly eyes. It is one of my very favorites. and his eyes went gak gak goo! They don’t go gak gak goo! This song is sort of mash up of a few different versions. I saw Miss Nina sing this and liked her action on the “barump” and the second half of the song especially. Although I do prefer jazz hands instead of the rolling. I’d also heard the “gak gak goo” from a colleague years ago. So clearly, you can use any nonsense words you like and change up the motions – but whatever you choose, just sing this song with the kids – they will love it. The idea for this craft came out of desperation, an excess of blue paper, and some bug die cuts. 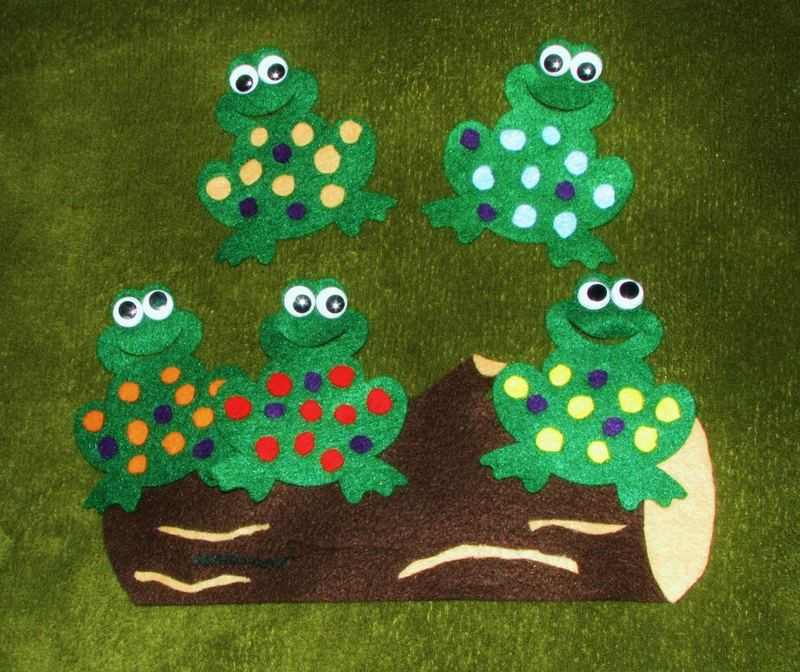 I was so tired of other frog crafts I’d done and this just presented itself. Basically, it is the die cut of the frog glued on to blue paper, bug die cuts (or stamps) placed around the frog, and a red curly ribbon for a tongue. 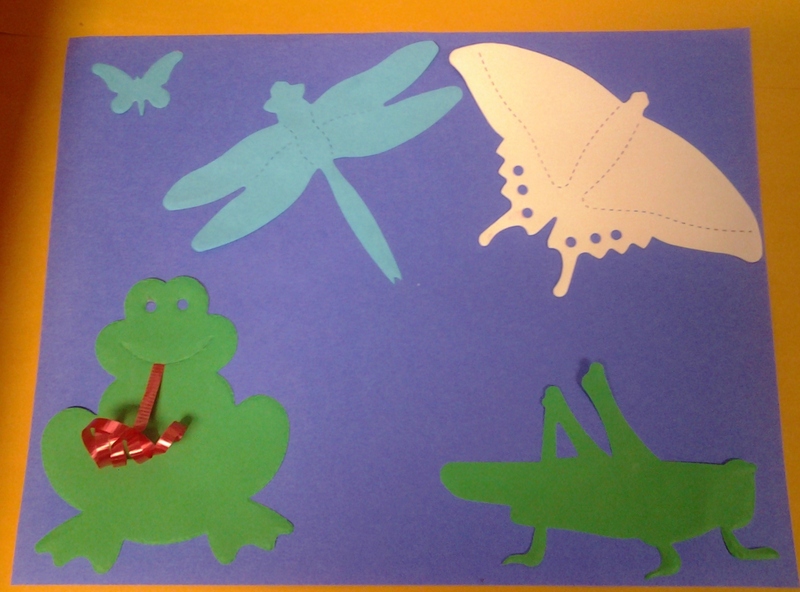 Once the glue dries, you can stretch the tongue to catch all of the bugs on the paper. This activity allows for glue stick practice and pinching practice with the ribbon. Both of those actions work the fine motor skills.